Ayurvedic solutions are some of the best treatments with amazing results for hair and scalp issues. One unique feature women love about them is that they don’t have any side effects. One of the most reputable ayurvedic solutions on the market is the Jojoba oil. In this article, we’ll be sharing with you some of the jojoba oil benefits for hair that you probably don’t know about. Jojoba oil does not only work as a hair moisturizer, but it also encourages hair regrowth. So if you have scalp issues or you simply want to improve your hair’s health, it’s time to give Jojoba oil a try. Jojoba oil has a long history of potency in the treatment of hair loss and dandruff. So, what benefits would you derive from this magic oil? Read on to find out. But before we reel out jojoba oil benefits for hair growth, let’s quickly see what Jojoba oil entails and the nutrients it contains. Technically, Jojoba oil is not the usual oil. It is a wax ester that is extracted from a plant scientifically known as “Simmondsia Chinensis.” Jojoba oil is widely grown in the southwestern part of the United States. In fact, it naturally grows in Mexico, Southern California, and the desert part of Arizona. It mimics oil sebum which naturally forms in our scalp. Jojoba oil encourages hair regrowth and refreshes our scalp and hair follicles. This magical oil has some anti-fungal properties which can help to improve your hair’s health. Plus, it can also fight dandruff and graying. Commercially, jojoba oil started gaining popularity way back in the 1970s. Its uses are not just limited to hair treatment; it is also a major ingredient in the production of skin and nail products. Jojoba oil can be used as a moisturizer due to its oily composition. Apart from that, it can equally be added to hair conditioners to provide extra protection against split ends, dryness, and breakage. Additionally, jojoba oil can moisturize the scalp and it’s also a good remedy for dandruff. Because the oil strengthens hair, it has also proven to prevent hair loss and encourage hair thickness. Finally, jojoba oil moisturizes hair follicles, which helps to prevent dryness that usually results in hair loss. There are a lot of claims making the rounds about the effectiveness of Jojoba oil in the treatment of hair issues. Some of these claims are indeed correct, while others are a subject for further academic deliberations. The major benefit of jojoba oil can be seen in its application to treat hair and skin issues. A recent dermatological study buttresses this claim. According to the study, Jojoba oil is included in many hair conditioners and shampoos. The fact that jojoba oil is one of the ingredients used to prepare some hair conditioners and shampoos suggests that it can strengthen your lock and prevent hair breakage. Plus, it can also fight dry scalp, dandruff, and itchy scalp. What’s more? Jojoba oil can be used as a skin moisturizer. Another study tested the effect of jojoba oil with regards to the rate of hair regrowth. The result suggests that jojoba oil, although effective, is not as powerful as peppermint essential oil and minoxidil. Going by this result, this oil should not be considered as an ultimate therapy for the treatment of alopecia, pattern baldness, as well as other hair disorders. However, it is a great solution for promoting silky, strong, and shiny hair. What Are The Vitamins Present In Jojoba Oil? 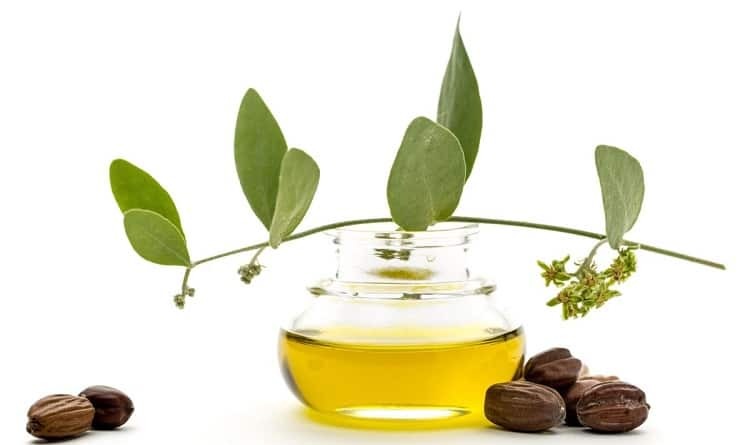 Jojoba oil is a rich source of Omega 6 fatty acids, Vitamin E, Omega 9 fatty acids, as well as a saturated fatty acid known as ‘Docosanol,’ which can help prevent infection. Jojoba oil is also very rich in antioxidants which can be used to combat free radicals. If you apply jojoba oil regularly on your hair, it would surely nourish it, why? Because it contains fatty acid needed by your hair to flourish. Now you know what jojoba oil entails and the nutrients it carries. Let’s now take a look at its benefits on hair. Depression and Hair Loss: What’s The Relationship? Your sebaceous glands naturally produce sebum which keeps your hair and scalp moisturized. Remember, we mentioned earlier that jojoba oil mimics the sebum on your hair and scalp; thus, it can do the job of the sebum by nourishing your hair follicles and scalp. Plus, it can also improve the health of your sebaceous glands. If you have dirt on your hair, jojoba oil can do a thorough cleansing of your hair. It can also dislodge those clogs that prevent your hair from shining. Using jojoba oil as a cleanser would keep your hair follicles and scalp clean. The anti-microbial properties of jojoba oil can help improve blood flow on your scalp. It can also prevent your scalp from any inflammation and infection. What’s more? Jojoba oil can be used to fight free radicals that usually cause hair loss. Losing 100 strands of hair in a day is very normal, but when it exceeds this number, there is every reason to be worried. One of the reasons you may be experiencing hair loss is due to clogged pores. Jojoba oil can help resolve this issue. It does this by cleaning any dissolved dirt on your scalp and thus nourishes your hair follicles. The rate of hair regrowth would not only increase but your hair would be fuller and thicker. Jojoba oil contains lots of vitamins and Omega-6 fatty acids which would help to combat dandruff. It can also soothe your scalp and thus prevents any inflammation and irritation. If you always battle with dandruff, you won’t go wrong using jojoba oil to fight it. If you have any damaged spot in your hair shaft, don’t worry, fetch a few drops of jojoba oil and apply it to the affected spot. The result would shock you. Applying jojoba oil regularly on your hair can prevent hair loss. It would supply your hair follicles with the needed nutrients to regrow fuller and thicker. 1. Add it to your hair care products: Drop a few drops of the oil to your favorite conditioner or shampoo before using it. 2. Apply directly to your hair: It’s recommended that you warm the oil up first so it’s easier to apply. This can be done in a microwave-safe bowl or in a clean pot on a stovetop. Use about 1 tablespoon of the oil for short hair and 2 tablespoons for longer hair. Once you’re done warming it up, apply the oil to your hair above the scalp, and evenly work it down to hair tips. Let it settle for a period of 20 minutes. After 20 minutes, shampoo, condition, and rinse it off. If you’re applying the oil for dandruff or dry scalp, add a little directly to the skin (about 1 to 2 drops is ok). You must, however, avoid direct application to the scalp to steer clear of clogged scalp pores. 3. Purchase products that contain jojoba oil: One of the easiest ways to obtain jojoba oil and use it is to purchase shampoo or conditioner that has jojoba oil content as one of its natural ingredients. 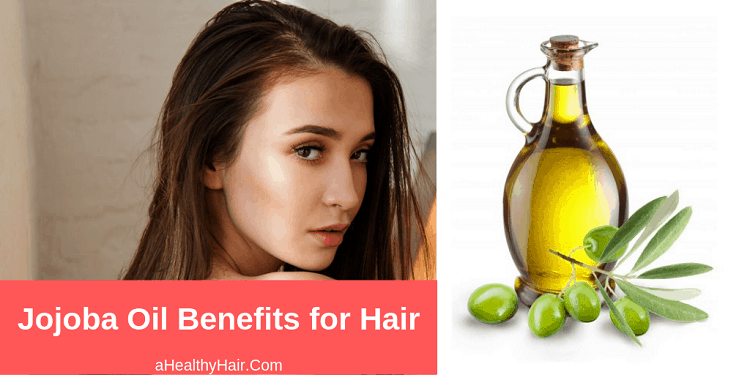 Apart from the jojoba oil benefits for hair mentioned above, there are other ways you can use jojoba oil for hair such as using it as a hair mask. Start by dissolving the yeast in hot water. After blending it properly in the hot water, leave it to cool down, and then add jojoba oil to the mixture. If it becomes too runny, you can thicken it by adding one spoonful of your favorite hair conditioner. After that, carefully apply it on your head and cover it with a warm towel. Leave it for about 30-minutes, and then rinse off and wash your hair properly using a gentle shampoo. The Jojoba-yeast hair mask is fantastic for treating your scalp, especially the greasy type. Apart from that, it also helps to increase volume and lift the hair roots. Carefully blend all the ingredients with each other. Then, apply the mixture on your hair and let it settle for about 30-minutes. Heating it up will give you a better result. Wrap your head in a warm towel or just use a blow-dryer. In this case, use hot air to boost the effects of the natural ingredients. After leaving the mixture on your hair for the recommended period of time, wash it off. NOTE: If your hair is in a bad condition, then apply one drop of jojoba oil on the ends after washing and drying it. With the jojoba oil hair mask, your hair will be as smooth and glossy as never before. Finally, it’s advisable to apply this hair mask twice per month for the best result. 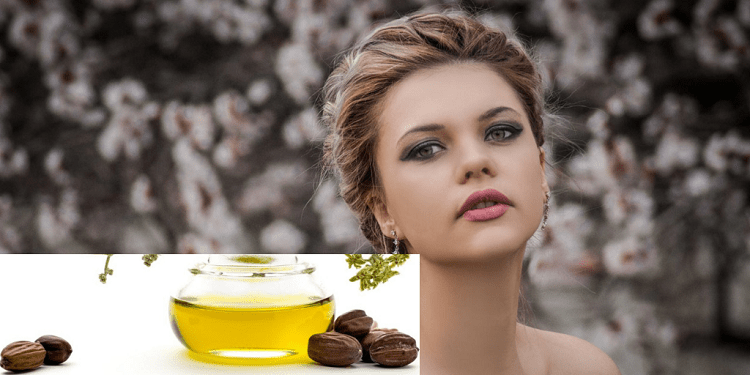 Where Can You buy Jojoba Oil for Hair Growth? Jojoba oil is widely available on the market since it is an essential oil. To prevent hair loss, apply this oil regularly on your hair. Are you currently using jojoba oil? Do you know of any other jojoba oil benefits for hair growth that we didn’t mention here? Please, share your experiences with us using the comment box below.